The activist is fighting back after serious accusations. This week, Shaun King has been in a media firestorm over accusations that he is stealing from the families of Jazmine Barnes and Cyntoia Brown. In addition, that he is making money from Facebook due to ad revenue from victims of police violence. Just hours ago, King speaks out in his first radio on “The Karen Hunter Show” on SiriusXM Urban View. 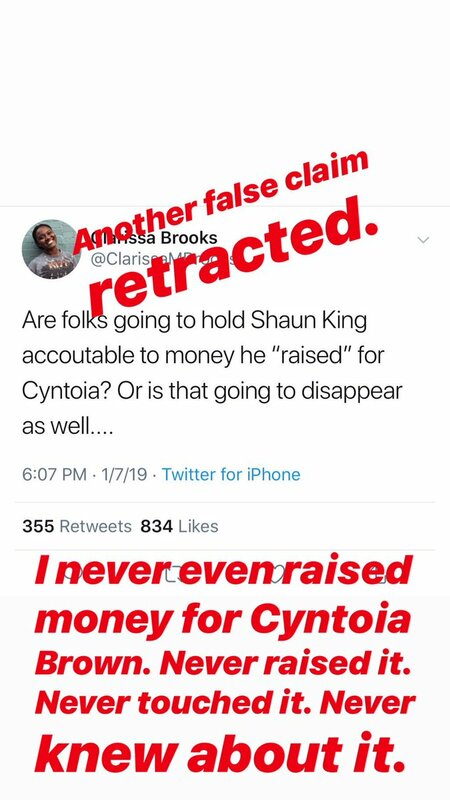 In case you missed it, on Jan. 7 activist Clarissa Brooks tweeted, “Are folks going to hold Shaun King accountable to money he ‘raised’ for Cyntoia? Or is that going to disappear as well…” Brooks deleted the tweet after she read King was suing people for tweeting about him. However, on Wednesday (Jan. 17), she received an email from King, which included his attorneys, Benjamin Crump and Lee Merritt, that threatened legal action if she didn’t apologize publicly. See Clarissa Brooks’ lengthy statement on Twitter defending herself earlier this week.